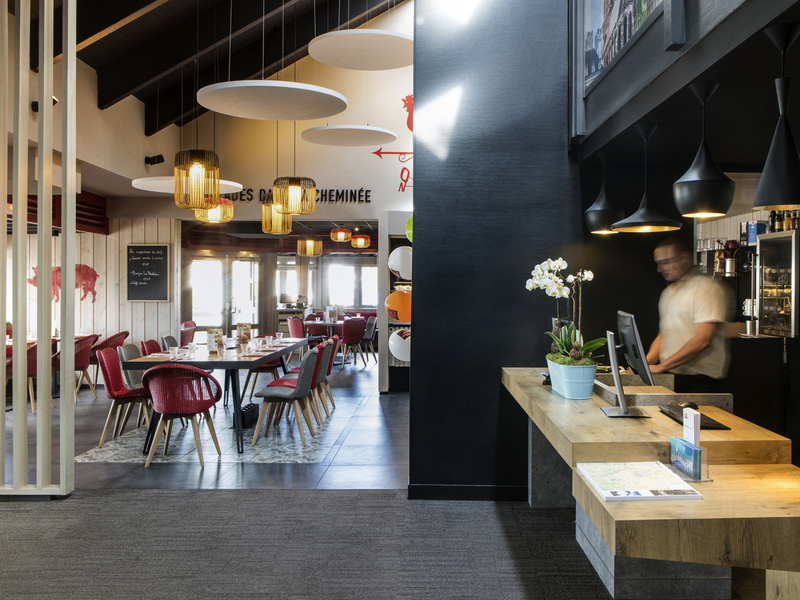 The 3-star ibis Reims Tinqueux hotel is located just 2.9 miles (4 km) from the city center. The hotel has 74 comfortable, air-conditioned rooms that have been fully renovated, offering you a stay in a peaceful green setting. You can relax in the Courtepai lle Restaurant, which opens its terrace on fine days, or in our bar, which serves snacks and light meals around the clock. Free high-speed WIFI access. Free outdoor parking is available. 0.6 miles from Parc Millésime: Gaumont multiplex, bowling, Laser Quest, restaurants etc., golf 2.5 miles away, karting 3.7 miles away. 3.1 miles from city center, a historic area with the cathedral and other monuments, champagne cellars, museums etc.